When it comes to yard sale money-making tips that are the most effective, you need to think a bit out-of-the-box. While preparing and hosting a garage sale it’s nearly as intense as something like an estate home clean out project, it’s actually done wrong largely. That’s because most people aren’t avid garage sale attendees. So, they aren’t regularly exposed to the best tricks and tips which make substantially a substantial amount of money over just pocketing a few dollars. One key difference between a money-making yard sale and one that’s a dud is how the hosts go about the entire process. It actually begins with what seems like an unorthodox approach. This is why garage sales generate an astounding $4.2 million in weekly revenue, according to Consumer Reports. The conventional wisdom usually undermines the entire effort while those who are creative see a lot more cash tumble in through the event. Advertise smartly. 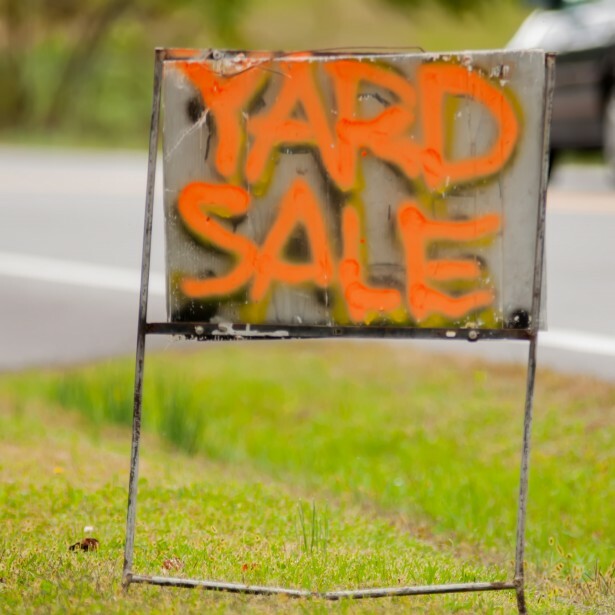 The terms “Garge Sale” and “Yard Sale” imply offloading junk and odds and ends. But, “Estate Sale” and “Moving Sale” give an entirely different impression. It’s also important to advertise widely and early on, both with physical signage and online, as well. Price stuff wisely. You shouldn’t even try to make a profit on what you’re selling. The real goal is to offload as much stuff as you can and that means pricing wisely. Price to entice and don’t take negotiating as an insult. Expect a little haggling and take it in stride. Team up with your neighbors. There’s definitely power in numbers and the more participation there is between neighbors, the better. The event will attract far more people and it also creates a more exciting environment. Start the sale on Thursday or Friday. Most people begin their sales on Saturday and some opt to start on Sunday. But, starting it on Thursday or Friday are actually better times, particularly if it begins at 6 a.m. or 7 a.m. You’ll be seen by school and work commuters and that will benefit you greatly. Engage visitors and be friendly. Don’t spend your time reading a book, talking on the phone, or on social media. Mingle with people who visit and be friendly. Your efforts will result in more sales and for more money. If you want to offload as much as possible, go ahead and phone 800-433-1094 or visit Junk Garbage Removal. Our crew will pickup all sorts of junk and haul it away for you so you don’t have to deal with it.